Started a couple of weeks back, here are some details of my pet project to set up a VMware Workstation learning lab containing both 7-Mode and Cluster Mode Data ONTAP 8.1.2 Simulators, Edge VSA, and more! It’s a work in progress and how far we get will depend on time. 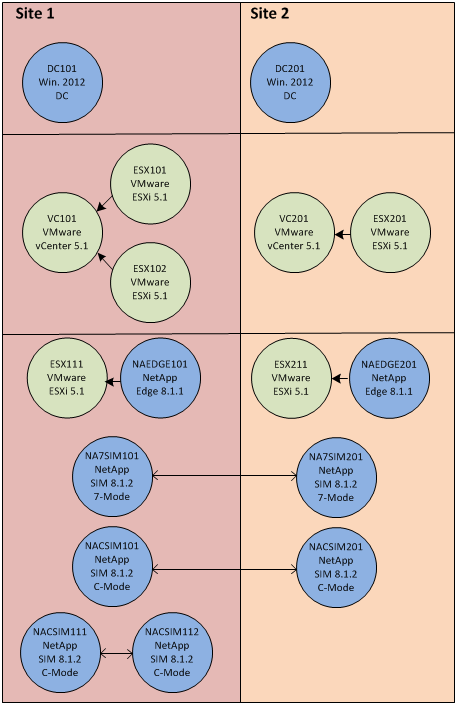 The rudimentary Visio diagram below shows the initial design with 2 x SIM 8.1.2 C-Mode clusters (one local and one multi-site – the simulator licenses only allow two nodes in a cluster, hence the two clusters), 2 x SIM 8.1.2 7-Mode appliances (one in Site 1, the other Site 2), and two Edge 8.1.1 appliances. 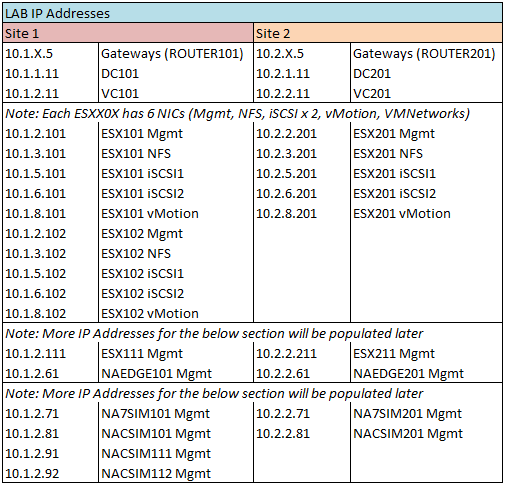 Note: The Data ONTAP Edge 8.1.1 appliances run Data ONTAP 8.1.1 7-Mode and need to run on VMware ESXi! Here we keep the networking configuration very simple, each and every virtual device network adapter in this lab will be connected to the NAT network. 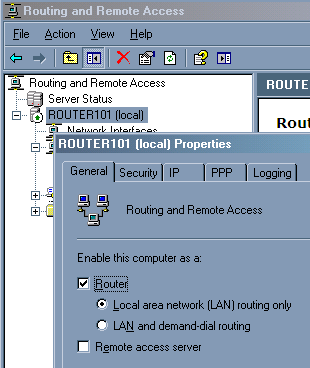 To allow communication between different subnets and sites, we have two Windows Server 2003 servers (not domain joined) running Routing and Remote Access (which is installed by default in 2003), with RRA enabled and configured as a simple Router for Local area network (LAN) routing only. ROUTER101 exists in Site 1, ROUTER201 in Site 2. This completes the design post. This is quite a full-on design, and definitely over-the-top on detail for all but the most hard-core home lab enthusiasts. The design here serves purely to give ideas and it is free to use. Time permitting – for future posts we hope to publish more content based around this lab design. Hi Vidad... Great lab... can you share what sort of hardware are you running this lab on? 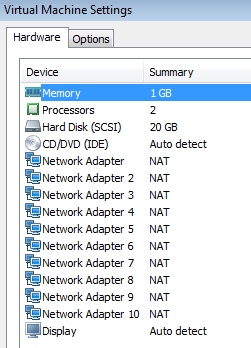 What is the Hardware config?